Manchester United's unbeaten run under interim manager Ole Gunnar Solskjaer has come to an end after Paris Saint-Germain ran out comfortable 2-0 winners in the first leg of their Champions League last 16 clash at Old Trafford. The visitors were well worthy of their win, but the game was marred by a number of controversial decisions made by referee Daniele Orsato. One decision that seemed to unite all those watching on though was his decision to send off the mercurial Paul Pogba late on. The Frenchman was penalised for a wild lunge on Brazilian full-back Dani Alves with just a few minutes remaining, receiving a second yellow card - though in truth, he could easily have been given a straight red given the reckless nature of the tackle. With Pogba continuously in the spotlight, it was inevitable that Twitter would explode following his dismissal. It's fair to say that the vast majority agreed that he could have no complaints with the decision. Pogba’s “challenge” looks worse with every repeat. Lucky it was only a yellow. That Pogba foul is the exact same "try and step across to shield the ball" thing he did on Dele Alli. Think this one was much worse. Either way he needs to sort that out. 100% that was a second yellow though. Stupid from Pogba. You could just see he was getting wound up. 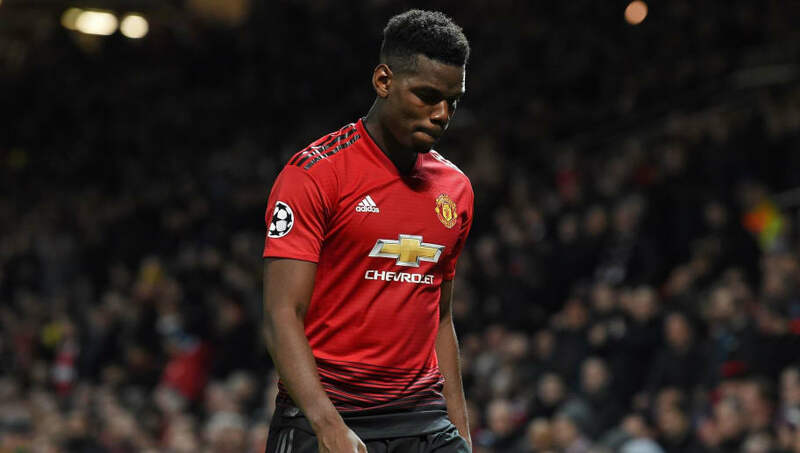 There were also suggestions that Pogba's actions had effectively ruled out any hope of United getting back into the tie at the Parc des Princes in two weeks time, while some users used this opportunity to reinforce their belief that the former ​Juventus star is perhaps a tad overrated..
Paul Pogba has single handedly knocked Manchester United out of the champions league. Pogba = most overrated and over-hyped player in all of football. Appalling. Red for Pogba but not for Kimpemba? Bottled it. PSG much better but ref useless. ​​What's done is done now though, and the question on everybody's lips will now ask how Ole Gunnar Solskjaer's men will recover from their first defeat under the Norwegian..